Italy is known for foods such as Pizza Margarita, prosciutto, mozzarella, panini, pesto, gnocchi, and, of course, Spaghetti Bolognese. But too often is one of Italy’s most delicious (and easy-to-make) foods left unnoticed: caponata! Caponata is originally a Sicilian dish, and is pretty much the Italian, sweet-and-sour version of the French ratatouille. The main ingredients are eggplant and a variety of your favorite, in-season vegetables. 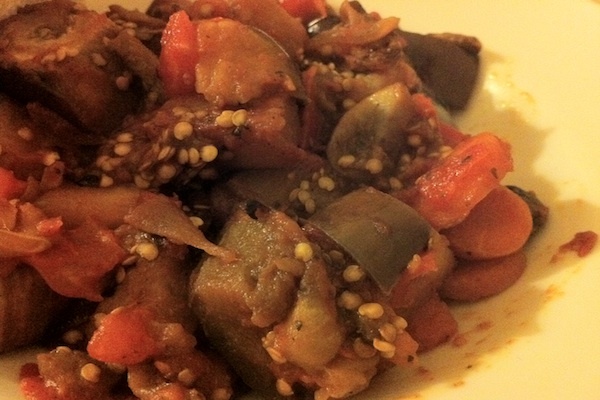 Caponata is traditionally made with eggplants, capers, tomatoes, green olives, celery, sugar, and vinegar. However, as caponata made its way north and across borders, different regions started to adapt the recipe for their local vegetables and separate tastes. Caponata has been used as an appetizer, a side dish, and even a main course. Sometimes it’s put on bruschetta, crackers, or some freshly baked bread. For a traditional, seasonal, versatile, and above all, VERY YUMMY idea for lunch or dinner, nothing is more perfect than caponata. Note: You do not have to follow these ingredients to a tee. You can adapt the recipe to include your favorite vegetables and/or the vegetables currently in season. You can also store caponata in a Tupperware in the fridge for about a week (depending on your fridge and the quality of your ingredients). It can be eaten cold or warm. It’s ALWAYS delicious! Preheat your oven’s broiler. Lay the cubes of eggplant out on a baking sheet, drizzle the 3-4 tablespoons of olive oil over them, and season with salt and pepper. Broil until they start to brown (check them about every minute or so). 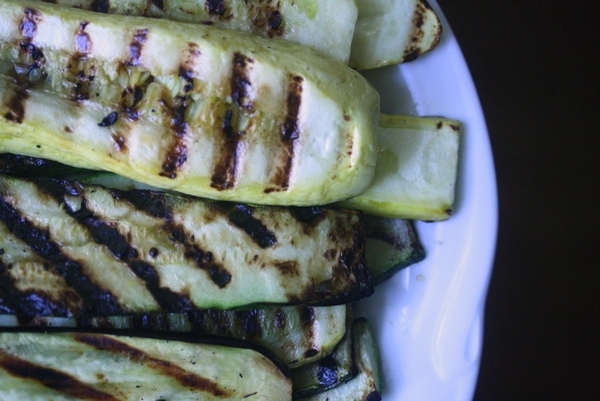 While your eggplant is broiling, you can start putting some of your other vegetables in a big pot. First, coat the bottom of a large pot with olive oil. Add the onion and cook until they begin to look translucent. Add the mushrooms and allow to brown for a few minutes. After about 5-7 minutes add the zucchini, carrots and garlic. Once your eggplant is done, add it to the pot. Wait another 5 minutes, then stir in the tomato sauce and tomatoes, basil, salt and pepper. Stir the vegetables together so that the tomatoes coat the other ingredients. Cover the pot and allow the vegetable medley to simmer on medium heat for about 10 to 15 minutes, just until the eggplant is soft and the caponata acquires a stew-like consistency. Take the pot off the heat, serve, and enjoy! Categories: Campus Cooking, Eating, Healthy Recipes, and Recipes. I'm Cooking For...: Dinner Party, Easy Dinner, and Potluck.